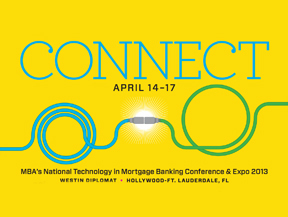 Of the sessions planned for the Mortgage Bankers Association's National Technology in Mortgage Banking Conference & Expo in Ft. Lauderdale, Florida April 14-17, the last one on April 16, "Roadblocks Removed: How Electronic Signatures Are Changing the Way We Do Business," may provide lenders with the most immediate and long-term benefits. 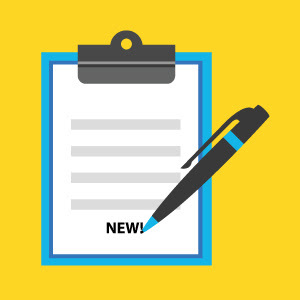 The overview of current eSignature technology – which includes electronic signing, delivery, retention, storage, auditing/tracking, and oversight – will attendees an inside look at both evolving technologies and regulations. Additional material will be available in a Q&A with the panel's experts: Cecil Bowman, NCS Senior Vice President for Government and Industry; Kelly Purcell, EVP Global Sales and Marketing for eSignSystems; and Pat Hatfield, a Partner at Locke Lord LLP. Bowman led the MBA Workgroup that assisted the IRS in its January 7 adoption of the new rule to accept eSigned 4506-T forms. He spent 35 years in the IRS, spearheading the Income Verification Express Service (IVES) protocols. Purcell and eSignSystems, part of WAVE Systems Corp., have been helping the evolution of electronic signature technology since the 2000 passage of the Federal ESIGN law. Hatfield co-authored the ‘6-Point Framework’ for assessing risk in electronic signature and e-contracting processes and has helped clients design electronic delivery processes in compliance with ESIGN, UETA and admissibility standards under various rules of evidence. According to the MBA, "Electronic signatures can provide significant operational and compliance efficiencies to lenders and servicers while improving customer satisfaction." The panel will discuss how your company can benefit from recent changes at key agencies that have eased limitations on the use of electronic signature technology. 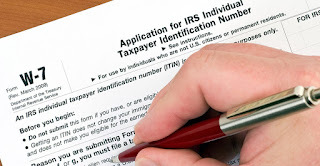 They will also cover operational, regulatory, and legal considerations such as authentication, consent, tamper-evident seal, non-repudiation, IVES participant retention of documentation, and meeting IRS quarterly review requirements. Bowman and Purcell, who coincidentally were among last year's MBA Tech All-Stars, now collaborate on the partnership between eSignSystems and NCS, which now offers full electronic signature capability through its eSignature solutions. The session will be held from 3:15 p.m.-4:30 p.m. in Regency Ballroom 2 on the second floor of the Convention Center. For more information on NCS services, contact us today.